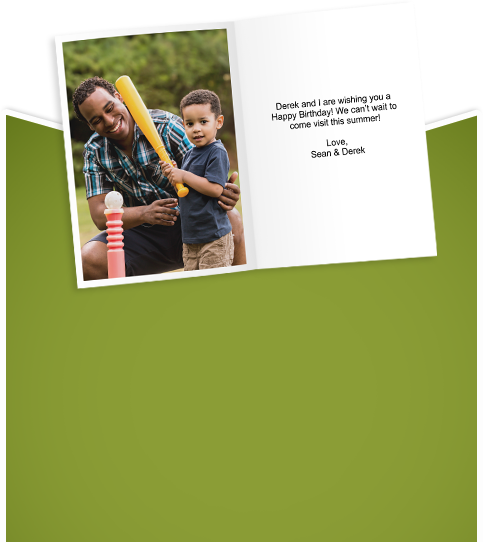 with a custom photo greeting card! 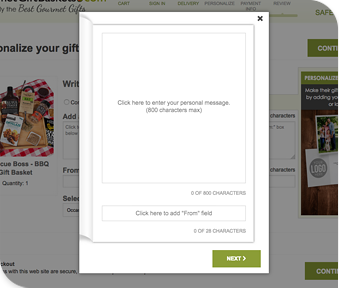 A personalized card can be added to any gift basket for just $3.99, and includes your very own thoughtful message, plus a full-color photo of your choice. 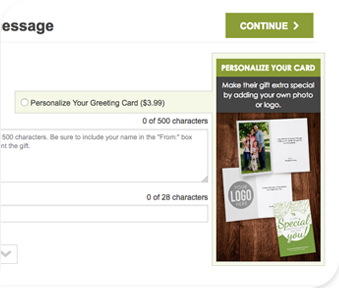 Your personalized greeting card is shipped along with your handcrafted gift basket, to make for a memorable experience! 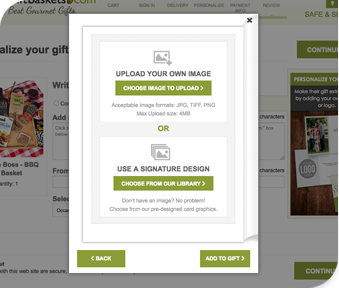 Include a photo of a recent memory, or throwback to a photo from year’s past, and give your gift a personal touch when words alone just aren’t enough. 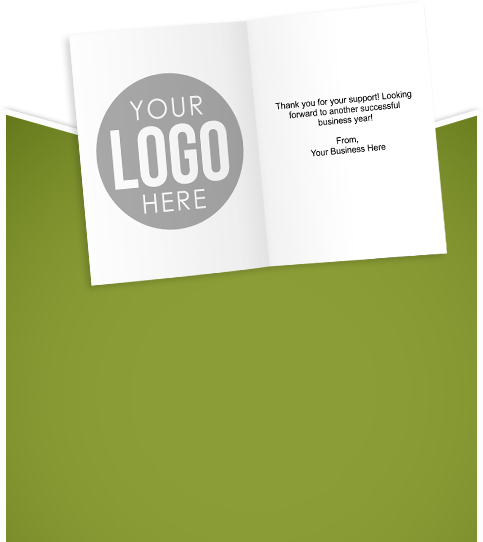 Take your gift to the next level with a client, by adding your company logo to keep your brand and image top-of-mind for your loyal customers or prospective clients. "...Then when she opened it and saw the photo of me blowing her a kiss, the true icing on the cake!" "My mother absolutely loved her gift basket, plus having my family’s photo in the greeting card was an awesome way to say Happy Birthday from afar." 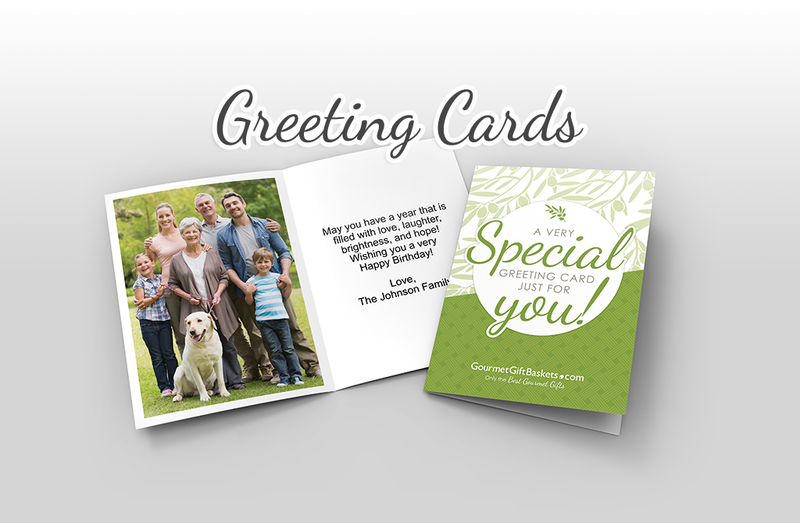 Leave a lasting impression and make it personal - with a custom greeting card.